Providing you the best range of oriental sauce marination, malai kabab marination and spicy chilly marination with effective & timely delivery. 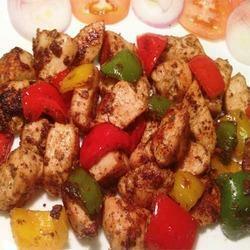 Description:Oriental Sauce Marination Offers A Typical Taste Characteristic Of Oriental Soya Based Sauce. (a Few Soft Lumps Are Permissible). Ingredients: Sugar, Dates, Soya Sauce Powder, Honey Powder, Hydrolysed Vegetable Protein, Modified Starch (e 1442),Garlic, Tomato Powder, Edible Vegetable Fat Powder, Salt, Onion Powder, Acidity Regulators [e 262 (ii), E 330],Spices & Condiments, Yeast Extract, Anti Caking Agent ( E 551). Applications & Recommended Usage: Add 10 Gms. To 10 Ml. Of Warm Water & Stir Well Till The Powder Is Completely Dissolved. We are offering Malai Kabab Marination. Description: Malai Kabab Marination Offers A Typical Taste Characteristic Of A Creamy Malai Marination With Mild Spice Notes In The Background. (a Few Soft Lumps Are Permissible). Ingredients: Whey Powder, Sugar, Milk Powder, Salt, Onion Powder, Spices & Condiments, Corn Flour, Malto Dextrine, Garlic Powder, Anti Caking Agent ( E 551). Contains Added Flavours: Natural And Artificial Flavouring Substances. Applications & Recommended Usage: Make Paste Of 5 Gms. Marination 1 To 2 Gms. Water 1 Gms. Oil.Add This Paste To 50 Gms. Paneer/Meat & Bake In Oven Or Tandoor As Desired. We are offering Spicy Chilly Marination. 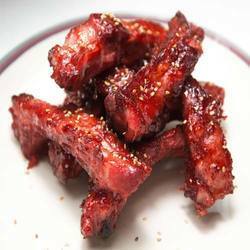 Description: Spicy Chilly Marination Offers A Typical Taste Characteristic Of A Spicy Chilly Marinade With Spice Notes In The Background. (a Few Soft Lumps Are Permissible). Ingredients: Malto Dextrine, Chilly Powder, Salt, Spices & Condiments, Garlic Powder, Onion Powder, Acidity Regulator (e 330), Beetroot Powder, Sugar, Hydrolysed Vegetable Protein, Anti Caking Agent (e 551). Contains Added Flavours: Natural & Nature Identical Flavouring Substances. Applications & Recommended Usage: Add 10 Gms. To 5 Gms. Oil 50 To 100 Gms. Of Meat/Vegetable. Shelf Life: 6months When Stored As Recommended In Its Original Packaging. 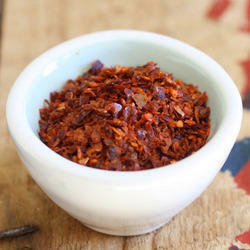 Looking for Marination Seasoning ?